I just finished book 8 in this wonderful series and was thrilled to be able to move right into this one. 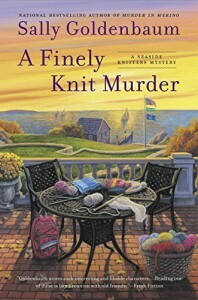 After reading MURDER IN MERINO (book 8), the member of the Seaside Knitters are now one of my favorite groups of characters to read. I have no idea how to knit, but I would enjoy just sitting with them and talking. Author Sally Goldenbaum has done a magnificent job in the creation of the diverse group. The descriptions in the story (I dare to guess, the entire series) are so fantastic, I could feel the sea breeze and smell the aromas from the restaurants and cafes. Ms Goldenbaum also continues to pen a story with remarkable mystery and intrigue. This is only my second book by this author, but comparing this book and to the one before, her writing just continues to evolve. 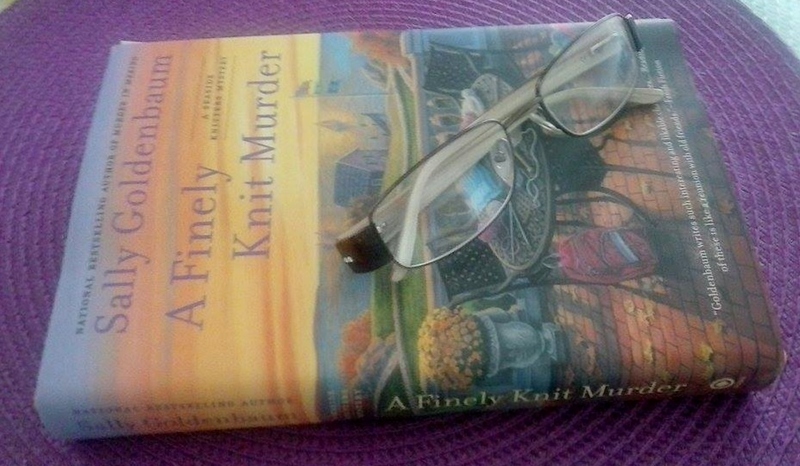 I really enjoyed the fact that the murder in A FINELY KNIT MURDER came later in the story, as it did in book 8. I like the buildup and getting to know the person, good or bad, that gets killed. Spending time with them makes the death more real for me. I look forward to reading books 1-7 to see if this is how the author always writes it. As always, check out the end of the book for a knitting pattern and a mouthwatering recipe! If you haven’t read this series, I would encourage you to give it a try. And don’t worry, you don’t have to know how to knit to enjoy.